Stunning combination of traditional pink and rose design patchwork quilt. 100% cotton, fillin.. 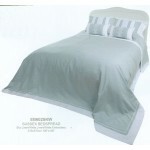 Combined with white or pale blue accents this this soft grey quilt lends a calm and soothing atmo.. 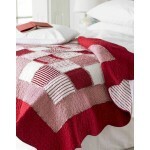 Vibrant red and white stripes and gingham in red and white on a patchwork sham with a stunning st.. 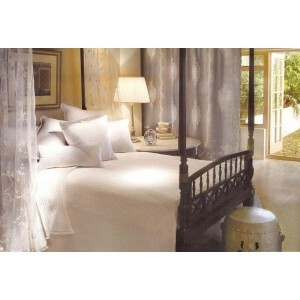 The new Palazzo collection features a stunning range of coordinating bedspreads, quilt covers, ta.. It's easy to revive a tired bedroom, simply throw this richly quilted duck egg blue bedspread ove.. The Richmond Collection Linen Lace and Patchwork are pleased to present the ultimate in luxur..
Our new Sasha quilted bedspread combines soft greens, creams and natural shades with dainty pink .. 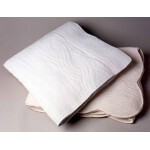 Cream hand quilted traditional cotton bedspread with scalloped hem quilted border. 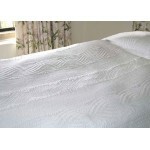 Beautiful quil..
White hand quilted traditional cotton bedspread with straight hem quilted border with parallel st.. The Sherborne Collection Linen Lace and Patchwork are pleased to present the ultimate in luxu..
Intricately quilted design in calico cream 100% cotton in this high quality hand crafted cotton b..
Intricately quilted design in duck egg100% cotton in this high quality hand crafted cotton bedspr..
Intricately quilted design in white 100% cotton in this high quality hand crafted cotton bedsprea.. Size: king W270 x L270cm / W106"xL106" superking W300 x L300cm/W118" x L118" Base Fabric:Natu.. Size: king W270 x L270cm / W106"xL106" superking W300 x L300cm/W118" x L118" Base Fabri..
Gorgeous Lavender/Lilac toile design featuring an ever popular paisley pattern on a soft, white b..
Our most beautiful Toile De Joie printed bedding range is available in 3 superb colours. Cranberr.. Beautifully understated Vermont draws inspiration from the elegance of venetian baroque architect..
NEW! due in 1st February A lovely all over embroidered design of maltese style crosses ..
A lovely all over embroidered design of maltese style crosses bordered with diamond shaped square..
A beautiful traditional country style quilted bedspread. Combining a dark green with the delica..